2nd-Half Hipsters – Age is just a number! We always look forward to the 3rd Sunday of each month. That’s when the Long Beach Antique Market (A.K.A. ‘LB Flea’) happens on the Campus of Long Beach City College’s Veteran’s Stadium. With over 800 vendors spanning over 20 acres, vendors sell a bit of everything, ranging from shabby chic, to Mid-Century Modern to vintage Western to militaria, to clothing and jewelry to the just plain weird… there’s something that will interest every taste and predilection. And, if you’re so inclined, you can even get your Sunday morning beer on, along with other concession snack items. Early birds can enter the grounds as early as 6:30 AM and it usually lasts until about 3:00 PM. With a paltry $6 admission, it’s a day’s worth of fun and makes for a great Sunday Funday! Turquoise is in full bloom! Turquoise is in full bloom! Lots of jewelry, furniture and other fun vendors! Clothing: All styles—from bargain to pricey. Giddy-Up! You’ll always encounter the unexpected and weird. Hats… Always hats. For style and sun protection! Yeah… We Know We Don’t Get Real Coat Weather, But What the Hell. 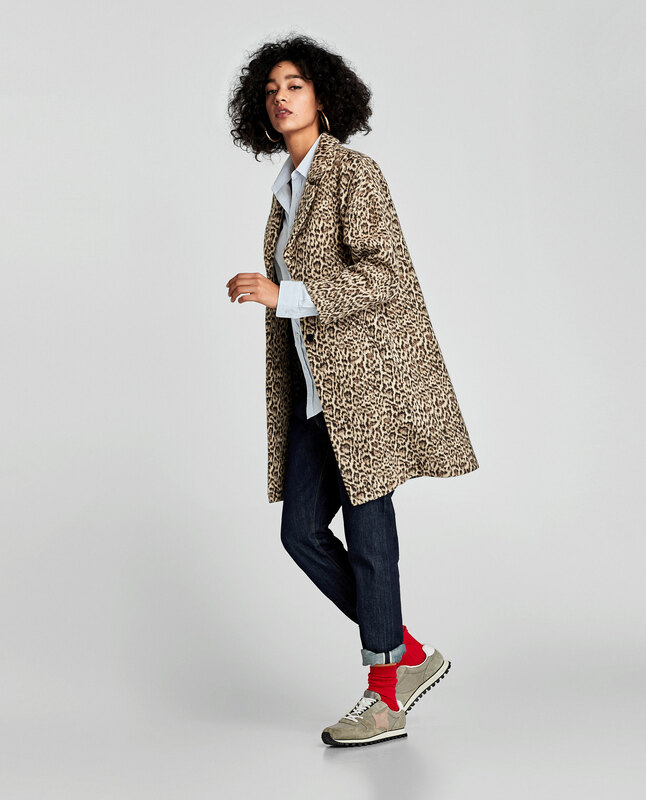 Here in Southern California we don’t get the chance to sport fabulous, cold-weather coats often, but when the temperature dips below 70°, we run to our closet to adorn ourselves like our East Coast and Midwest friends. We just don’t get a lot of practice! So, on those bitter 58° mornings, here’s some quick selections to help you get from your front door to your car or from your car to the office… and look great doing it! Zara faux fur collared knee-length coat $199… The perfect coat that’ll never go outta style… worth every penny! Vintage looks but so on-trend! Everyone needs at least one animal print coat! This beauty is on sale now at Zara for a mere $49.99! Get one! We love supporting our small, local businesses! We had a great time at this year’s Makers Mart near downtown Long Beach. This event takes place the Saturday after Thanksgiving each year in honor of Small Business Saturday. We wholeheartedly support this effort, and support all the small businesses in Long Beach and Orange County whenever we can. Our visit to Snake Oil Provisions didn’t disappoint! A super cool shop in one of the best spaces and buildings in the LBC! We fell in love with the dressing room art at first sight! A well-curated store that screams “quality” at every level! And while there’s plenty of pricey items out of our reach, they have some really great sale bins/racks to go through. Please patronize this store if you’re able! New friends @stayanchoredlb have some great merch! Thank you, Make Collectives for being such great hosts of this event! Welcome to our little slice the World Wide Web. 2nd-Half Hipsters are Kyrie and Troy (aka T-Roy). We are keenly interested in adventurous pursuits of the arts, fashion (both vintage and modern) and all things that make life more zestful and joyous for those of us in the second half of life. Expect to see lots of fashion photography, as Kyrie is the resident fashionista with a flare for keeping on the edge and on trend, with an eye toward thrift and practicality. She is a salon manager and veteran stylist of over 30 years, so she’s seen fashion trends come and go—and she knows a classic when she sees it. All of the fashion we feature will be accessible, creative and hip without looking ridiculous. Some of the content here may be cross-posted from the other venture we’re engaged in known as TK Vintage & Moderne, where we buy and sell vintage clothing and vinyl. We also love and appreciate music. While Troy played in bands until recently, these days he doesn’t play much but loves to go to gigs with his love and cheer on his friends. Music plays in our house constantly, whether it’s Alexa playing it or it’s from our early 1960s Korting Delmonico stereo console with intact Telefunken turntable. While allegiances may lay to the music of yore, we can love us some 24k Magic from time to time as well! Residing in sunny Southern California, we take pride in our mid-century modern home with a Palm Springs motif. We have fun hunting for and curating just the right pieces for our place. We will, no doubt, share new and exciting finds here and on the 2ndHalfHipsters Instagram feed first! We cherish being near both the desert and the beach and get to each as often as possible. We believe that we never have to give up on fun, fashion and the arts. And while we all have to work for a living, we believe we can do it with a joie de vivre and gusto that only our life experiences can engender. We hope you find pleasure and some new ideas while visiting us here. Follow along with us as we find fun people, places and things we think you’ll find interesting too! Check back often as we plan to post lots of content from our many adventures in this, our second half of life!